iCloud Activation Lock is a feature that allows users to lock down an iPhone (or iPad) and require the entry of an Apple ID before the device becomes usable again. It’s part of the excellent Find My iPhone service and is extremely useful for many reasons, but it can also be a real pain if you or someone else obtained an iPhone that has another Apple ID attached to it and is then ‘locked’ to that account with an activate request, because until that activation lock is removed it will be prevented from general usage or login with another Apple ID. So what should you if you longer have possession over the iPhone, but you still want to remove the Activation Lock and disconnect it from your Apple ID and iCloud account? Or what should you do if you bought an iPhone from someone else, and it has an activation lock attached to their Apple ID? Fortunately you don’t need to worry, because there is a pretty easy way to remotely disable Activation Lock from an iPhone or iPad using iCloud.com, though, fair warning here, you must remotely erase the iPhone to complete the process. Yes, that means anything on the iPhone will be lost in the process, so you wouldn’t want to do this with a device that has stuff on it you want to keep without backing it up first. The iCloud based locking feature is most often encountered with an iPhone, but it applies to the iPad and iPod touch as well. * Note: if the iPhone / iPad / iPod touch has already been erased or is offline and shut off, it will appear as greyed out and offline in the Devices list shown on iCloud.com. If that’s the case, simply select it and choose the “Remove from Account” option, the device won’t need to be erased twice. With the iPhone erased, and, this is important – removed from the Apple ID account – it will set itself up as new and allow anyone to enter a new Apple ID and use the device as new. The great thing about this method is that it can be done remotely. This means that if you bought a used iPhone online or from someone that later locked down the iOS device for some reason or another, you can simply contact them and walk them through the unlocking process with iCloud. They don’t need to do anything with the actual device since it’s all handled online through Apple’s iCloud service. Of course if you know the Apple ID holder in real life, you can just have them log into the associated account directly on the device to unlock it that way too, but obviously that’s not going to be as convenient unless they’re nearby. If you go that route, be sure they proceed further to either reset iOS to factory settings or just toggle the switch to disable Find My iPhone in Settings. How Do I Disable Activation Lock if I Don’t Know the Apple ID Password? If you (or whoever has the Apple ID) don’t know the password to the Apple ID account that is tying the iPhone up with the iCloud Lock, you (or them) will need to reset the password associated with the account. This is also easy, it’s just a matter of answering a few questions to confirm the identity of the account holder first. To get that process started, simply go to https://iforgot.apple.com/ and enter the appropriate details to reset the password associated with the Apple ID. Once the password has been reset, you can then log in to iCloud.com with the new Apple ID password to disable the activation lock using the sequence outlined above. This can also be done remotely. same thing happened to me.. how to remove icloud from my phone?? I brought an second hand I phone which when I opened it asked me for the apple ID. I didn’t have the apple ID or password because it was the sellers,and now im stuck with it on the same screen asking for the password and ID. I asked the seller for the ID and password but the seller doesn’t remember his icloud account or password. What should I do?? Don’t buy stolen iPhones. The seller scammed you. How would you show ownership of it? Why do they always assume you supposedly knew whoever sold you the phone. I bought the found online and now guess what? I can’t get into it. I don’t know the person who sold it to me and I don’t know there info now can someone actually give me some real help. This is why Apple is such a awful company. You can ask the person you bought it from for the Apple ID and password to unlock the iPhone. If they do not want to give you the password and Apple ID then ask them to remotely disable the activation lock from iCloud as described here. Just call or email the person you bought the iPhone from. The iPhone must be unlocked by the Apple ID, there is no other way. There is no “paid service” that will do it, only the proper Apple ID or Apple could do it. Alright, what if i cannot contact the seller as well or maybe he does wanna work with me to unlock the phone, then what can i do ? Then there’s nothing much you can really do, you can either erase everything and then factory reset it via itunes. There is nothing you can do. Restoring via iTunes, DFU mode, etc, will not work. It is always and forever more locked to the Apple ID that is signed in. The only options are to erase/remove from iCloud.com or enter the password on the phone itself. Apple won’t even repair an iOS device if “find my iPhone” is turned on. The Apple Store tech restored my ipad and now I cant get it to work without email used to activate it no access and wrong birthdate no mrmory and lost receipt i need it for work cant use anything to get around it…any suggestions? i haver an iphone 4 that is cloud locked that a buddy sold me how do i factory wipe it v??? if possible i was told by cpr that it impossible ?? You restore your iPhone to an earlier OS version(6 and below) where activation lock didn’t exist and couldn’t be enabled. If you bought your phone second-hand, you have to contact the previous owner again since you’ll need to enter the e-mail and password to unlock it. Or, other solution is to NEVER log_on /subscribe / & Use Icloud, that will by fact prevent all this step’s…. And then also never have a backup of your phone, or be able to find it when you lose it, or sync with your Mac… yeah, that’s a GREAT idea… NOT. iCloud is a VERY useful thing. Banks are a hassle, put your money in your mattress. Oops, your bed caught on fire! 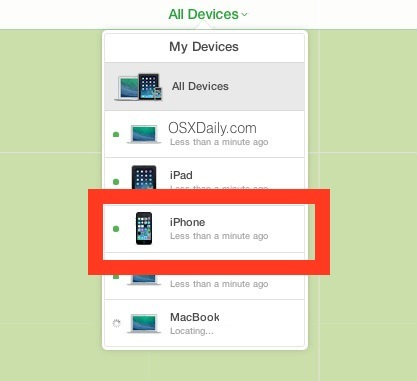 Find My iPhone is an attempt to nip iPhone theft in the bud. Now thieves can’t DFU a stolen iPhone and sell it on eBay. Hopefully they’ll just quit bothering. Just don’t ever buy a second hand Apple product unless you’ve made certain Find My iPhone has been switched off first. Actually they very well can sell it on ebay i bought a locked one. Is it possible to take off the screen and fix it from the inside? I bought a locked Ipod. I found a iPhone 5s with the iOS8 update and I have no idea who the old holder of the phone was so now I am stuck with a brick and I would like to use this phone. What can I do? Surely you found it with a sim-card inside. Even if sim-card is locked, you can still ask telco operator to contact the owner for you ( they cant give you the info ). They will give the owner your number and he/she’ll call you back. I bought an iPhone second hand and we had this issue, we contacted apple and they had her remove the device from iCloud, she did. However, it still requires me to enter it, I’ve tried every email/pass combo she’s every used, and nothing works, what can I do??? Also we can’t get proof of purchase because she bought it out of state (a very far drive from the current state). if she already removed her apple ID from the device all you need, connected to iTunes, put the phone on DFU mode, to do that “hold power and home button, when the phone is off release power and keep holding home button till you see on iTunes iPhone is in recovery mode, click on restore and update” wait till the process end and the phone will be set as new. I hava a iPhone and it’s been reset but when you go through the process of clicking a network/Wifi carrier once your connect to it the phone says log in with Apple Id the user has used find my iPhone but the phone isn’t lost nor stolen and I can no longer get in contact with the previous owner so will this website help me remove the Apple ID or no? what if that apple ID had been locked? :( but I activated the find my iphone with another apple ID … If I erase the ipad from that account what will happen?? i bought iphone 4 and it has someone’s iCloud and it has been unlocked….so can someone help me? I found a lost iPhone. The owner hasn’t replied to calls. It’s Apple ID locked. Anything I can do? “You (or whoever has the Apple ID)”. what does it mean? do you mean I or someone i knew(other than the icloud lock account user) can remotely disable this iphone? Yes if you read the article it says you, or whoever else has the Apple ID login, can remotely disable the iCloud Activation Lock, or enable iCloud Activation Lock. That’s the point of Find My iPhone, it’s a feature. I tried every thing you said on “disable the icloud lock” but even if you have the id, you still can’t disable the lock without a password. I even downloaded the icloud on my pc but it won’t bring up the “find my phone app”. Ok so I downloaded it from itunes and it disappeared. Didn’t go to the icloud page. I’m ready to pull my hair out. Did I forget to do something? Enter the Apple ID of the iPhone owner who locked the phone at the iCloud Lock screen to disable the iCloud Lock. You can do that with the Apple ID or the iCloud login for the iPhone owner that initiated the lock. Many people sell stolen iPhones off of eBay and Craigslist, important to be sure a device is not locked due to theft. This is why iCloud Lock was invented, to squash the stolen iPhone market. It would be like buying a car with an ignition kill switch activated from theft. There is one way to wipe the phone (all phones). Do you know anyone that has an email account on an exchange server. If so setup and email account on the phone over WIFI, accept the security warning. Then have the Administrator of the exchange server wipe the phone. You can also go the web email site on exchange and wipe the phone yourself. Kevin can you explain again person who owned my phone won’t unlock iCloud have asked several times but she won’t help phones glitching out badly love phone not what it’s doing? Then return the iPhone to the owner, it is not your iPhone. hi, i bought iphone 5s from someone, i cannot use it because the phone is under icloud lock…is there ant way i can use to unlock the phone? i do some search in google and some people said there’s a software that can unlock and bypass the icloud activation. please help me…. I have an iPhone and it factory reset. I can not get through the icloud password and the person don’t know her password or the email to get the reset. What should I do anybody know?? BE aware that iforgot has their e-mail address and that’s where the password will go, not to you. Yes you should return the stolen iPhone to it’s original owner, or take it to an Apple Store they will be able to contact the original owner. Then in the future, don’t buy stolen goods, it’s bad karma. Lol, love how you kept calling it YOUR phone. Aint your phone buddy. Hi I brought a iPhone 5s off a lady off facebook page. The lady likely sold you a lost or stolen iPhone, you should contact the owner from the number to call on the screen. Try to take it to Apple sure, they may be able to find the owner. I bought a stolen Ipod touch 5th gen… and it is locked by the original owner on Icloud. I cant get into something I bought! I dont even know the original owner.. or hi/her email or anything! How would they know theyre buying a stole iphone if they have no yet received the phone? The lesson is that apple will sell more phones than ever. It is impossible to reach the owner of a phone because Apple does not want you to. Apple will sell another phone because of this. It’s that simple. If you have a phone and you wanted to return it to the owner you can’t. The police while they will take the phone can’t either. Apple’s very smart about marketing and selling more phones, if they were concerned about getting phones returned it would be easy through a blind email drop using imei which can’t be wiped. Apple purposefully did not do that. its all about selling more phones while appearing to do something else. I am debating whether or not I should buy this iPhone 6 off Kijiji, but it’s iCloud locked. Is there anyway possible of getting rid of the iCloud lock without a username and password? No you can not remove iCloud lock without the username and password. The instructions here show you how to remove the iCloud lock remotely, which requires that login data. The only exception is if you are the original owner and you have the original receipt, then Apple may remove iCloud lock for you. 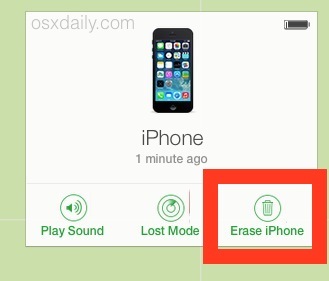 They will not remove iCloud lock from a lost iPhone that is not yours, that promotes theft. Buying a stolen iPhone with iCloud lock is a very bad idea unless you want to waste money and buy a little electronic brick. Never buy an iCloud locked phone, you will not be able to use it. If you want an iPhone, buy one legitimately from store.apple.com or a cellular carrier. purchased iPhone I restored it to new and now once you go through set up and go to activate it it is locked she is no longer able to get into contact with what to do? There are no genuine selers on eBay, you buy a iPhones, and you don’t get any helpful tips, except a locked phone, it should not be allowed. I bought a used iPhone on ebay and it was not iCloud locked, you have to specifically find out if the used iPhone is locked to iCloud or not, if it is iCloud activation locked, you should not buy it obviously. Or you can use the remote disable activation lock trick on this page and have the owner disable it for you remotely, that can work if you can contact the original owner. I found it when i was walking and like yey and it was disabled and with find my iphone on it i really want it what can i do. I thought i could insert a sim card and unlock it normaly? I’m a Nigerian,the i-pad was sent to a friend from U.k and he sold the i-pad to me,i actually wanted to use it and now it’s asking for the ID and password,he told his sister and she said she has forgotten the password and the security question,what can be done in that case? Please can anyone here help me with an answer, its urgent please! Put your Apple ID and password in when it requests it, easy. I think iphone doesnt have to be powered ON to remotely switch OOF icloud. To be honest I think previous owner is playing games. Apple could do more to explain to ordinary people. ALL those definitions should be on the icloud.com site where the previous /owner has to log in and remove those things. what to do if the Iphone is not apear on icloud ? I bought an iphone 4s. After purchase when i’m trying to activete it then it says that this phone was linked to r******@gmail.com. So i can’t activate this phone. After that when i want to contact that person from whom i buy this phone, that person didn’t response to my call. And he switch off his phone. What can i do now? In the phone’s screen there was no message like it’s a stolen device or not have passcode lock or like this. So i think this is not a stolen phone. But i cant activate this phone. Because this phone was lined to the previous owner. So what can i do now? But how can i get the previous owner? Please help me. Only i have the phone number of this person. But he switched off his phone. I didn’t understand that this person was really the owner of the phone or not. And how can i log in when it says that “This phone is currently linked to an apple id(r******@gmail.com). It’s mean i need this id and password. I have recently purchased an iphone saying the exact same thing as urs. How did u o with it, were u able to get it working? My iphone 4 has been stolen & I know who the thief is, I believe that they jnow my passcode as they have peered over my shoulder & slyly noted my lock code…. my contacts, all my private notes, photos of my children, all my email addresses, etc. I would happily erase all content via the the remote erase service as iCloud has everything from the device backed up. Or even deactivate the device from remaining in ‘lost mode’ & being able to possibilly be picked up at some point using the ‘find my iphone’ tracker?? My Apple I6 is snatched in Juba (South Sudan). On icloud, I have erased it. Will it be used still by snatchers or it will be locked untill I get it any way and follow unlock process? Hello I bought a phone off a friend short story it’s cloud locked does apple have an administrator icloud unlocker or no? I bought an iPhone 5s from someone only to notice it’s on icloud activation lock and I neither the Apple ID nor the password, what should I do? will the icloud lock be removed? my friend bought an iPhone 5s not knowing it’s icloud locked, he doesn’t know the owner neither getting into contact with the owner! what can be done to disable the phone?? OK you can get the Apple ID and password from them, and have them unlock the iCloud Activation and remove that Apple ID so you can activate your iPhone. They can do it with the iPhone or with the iCloud remotely like discussed here, it works perfect for you. Good job praiz, good and enjoy your iPhone. You have to get the Apple ID and password from the person who set them, and use that to login. Contact who sold you the iPhone to get the information or have them do it remotely from iCloud.com, that is the only way to disable the iCloud activation lock. It is a security measure this way, it requires the proper login. Do i have to use my gmail account for my Icloud account? Use whatever account is associated with the iCloud or Apple ID. 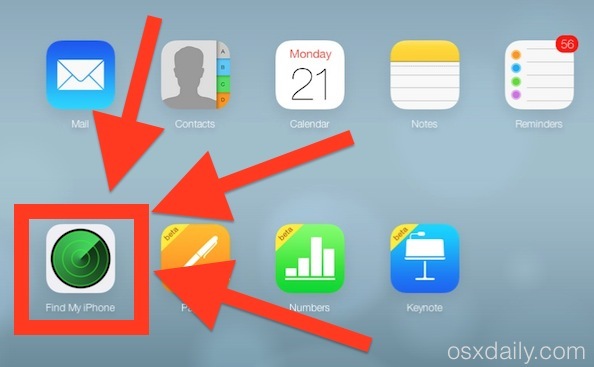 You can make a new iCloud email account instead if you want to later. I’m in the same boat I bought an iPhone 5s from auction it was from a business that it went bankrupt that been said the phone is not stole, EMEI is clean as anyone can check it. Now with that been said there is no way I can contact the original owner of the device as the business it was acquire from doesn’t really exist anymore, I have tried to call apple to see if I can even get the icloud ID so I can hope an try to contact the original owner and see if they can remove it from the icloud account but Apple won’t do that which I understand is for security reason, they however won’t even go the extra mile and try contacting the original seller and give them my information or ask if its ok to remove it from the icloud so now I’m stuck with a useless phone, and no way of getting any type of help from Apple, time to go back to android. I have Find my iPhone turned on but when I check the status of activation lock at iCloud.com its says it’s off, I’m perplexed. Should I restore the phone? I have an iPhone 5. I’m trying to sell it and continually get asked if the phone is locked. The simple answer is IMEI returns Activation Lock On. Any clues what next to remove the lock? but what if the iPhone was given to you by someone who hasn’t used it in a while and had forgotten the password and security questions to reset the password and the email has been disabled and they can reset it. then what do you do? I tried removing the device in my apple id but the activation is still there. Help! Please! Hi. I have just sold my iphone 6 on ebay. They said it is icloud locked and asked me to remotely remove. I followed the instructions . The phone is offline and says will be erased when connects to internet. I relyed this back to the seller and theyare saying they need to login on the phone and are asking for the apple I and id and passcode. i bought a iphone 2nd hand , the orignal owner wiped the phone and when i turned it on it had a activation lock. the orginal owner removed the device from his icloud and itunes account . but the activation lock is still on ??? My iPhone 6s got stolen by my ex and he changed everything. He is currently using it with a Verizon prepaid SIM card that is registered to a Samsung Galaxy. I did an IMEI check on it and its listed as stolen/blocked but he is definitely using it! I have the Apple ID and all numbers associated with the phone just not the password. Please Help! You all can downgrade your IOS verisions to 6.1.3 using Snowbreeze. just hold the shift key when restoring in itunes and select the custom ISPW you want to use to restore. 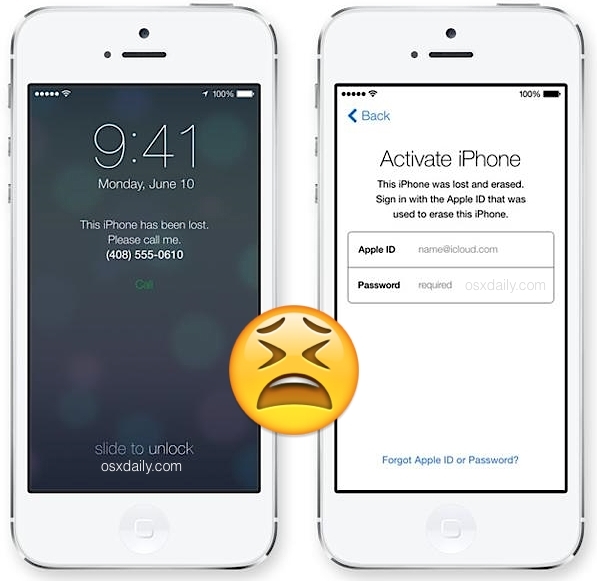 Remove iCloud activation lock permanently and find the official page for iCloud ID unlocking. I bought it from a friend who doesn’t remeber any of his information and now I’m stuck on the activation lock screen. What do I need to do? I need help. Erase? Where to I choose erase? I don;t want to lose iCloud access. I just want to stop the continual asking me for Apple ID and password! i found an iphone 8 plus with no sim on metro transit… i bought my own sim an want to transfer my phone but its icloud activation locked what do i do? Return the iPhone to its owner, you are not the owner. You found someone elses iPhone. It is not your iPhone, Bre. You should take the found iPhone to the police, or take it to an Apple Store. Or charge it and let the rightful owner locate it with iCloud and return it to them when they contact you. It is NOT your iPhone and it is unethical to try and keep someone elses property.